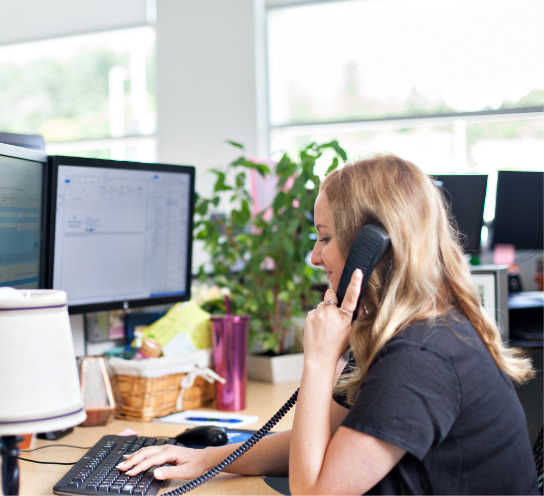 From assigning you one of our Client Services Representatives to providing you access to our Client Portal, we make your record retrieval simple. 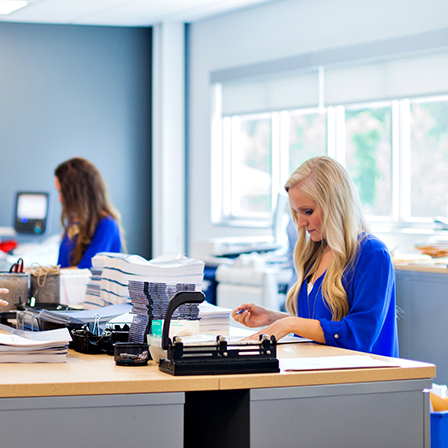 By using state-of-the-art technology and customized service, we are able to streamline the record procurement process. We also perform extensive research to ensure your request meets facility requirements, and format finalized records according to your preference. 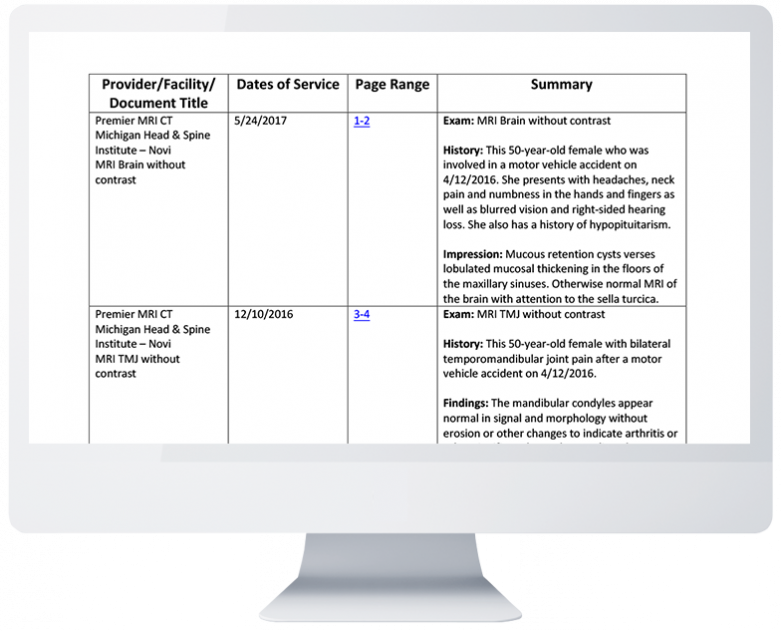 Our Client Portal enables you to submit requests and even access word-searchable documents. 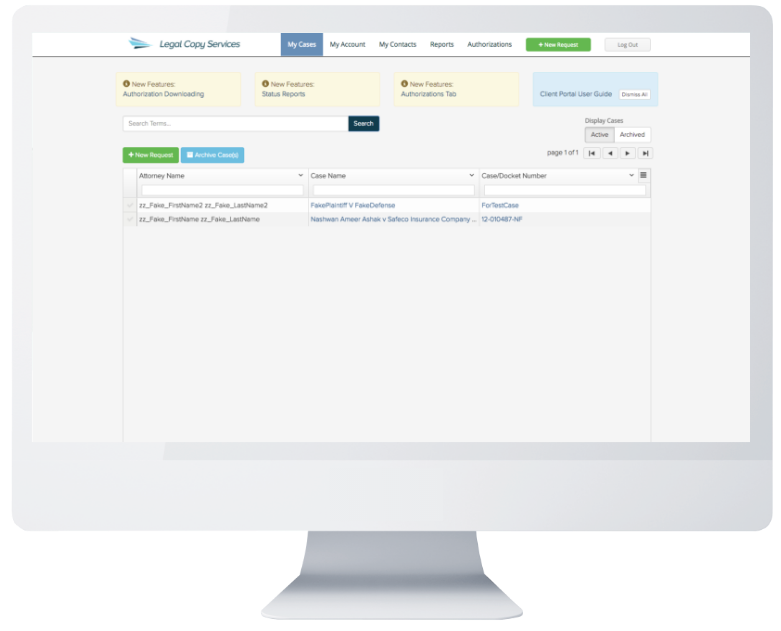 With Legal Copy Services, you discover the difference—that there’s help beyond the Client Portal. LCS Record Retrieval provides fast and cost-effective solutions for your record retrieval needs. Our unique focus on personalized service allows us to consistently provide client satisfaction that is above and beyond our competition. When using LCS, you will be provided a dedicated team who will serve you with integrity and a tireless work ethic to retrieve your records quickly. We gauge our success by your satisfaction. 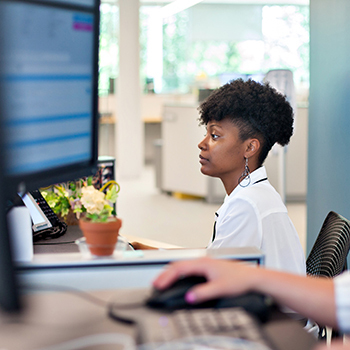 Retrieving and storing records in a secure, timely manner is our top priority. We invest in user-friendly, advanced technology that streamlines the retrieval process. 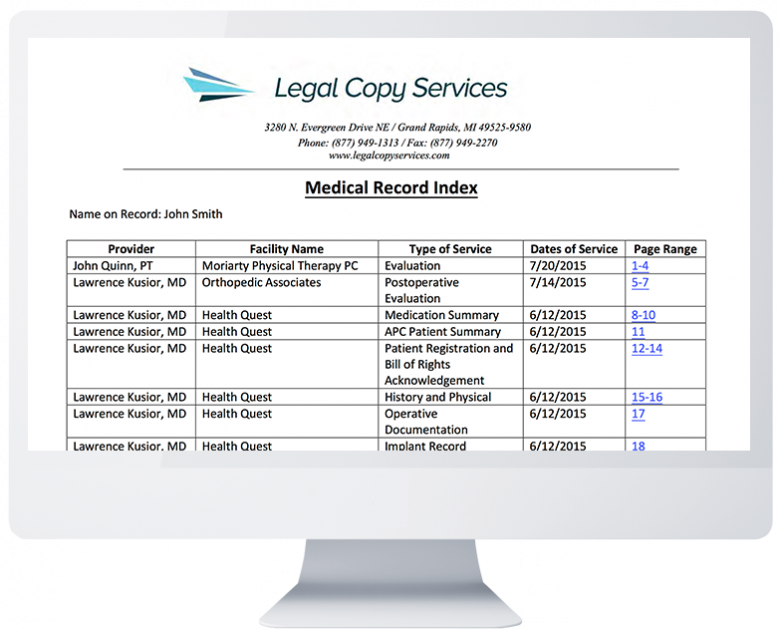 From our all-in-one Client Portal, you are able to view records anytime, anywhere. We make it easy to submit requests, check the status of your requests, and access finalized records. 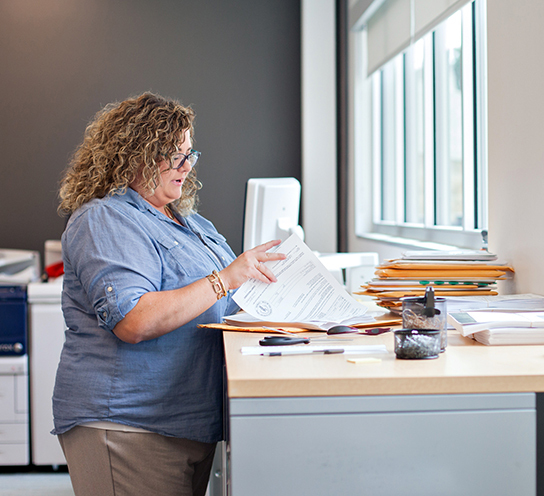 Our document analysis services, allow us to organize and summarize your records. Our team indexes the records according to your preference, reviews each page, and provides you with a fact-based summary. Both original and indexed records are then stored on our Client Portal for you to access. For more information on cost and service details, please contact your Account Manager.